Robin Myrick directs our grant services, and comes to WWD from a long career as a grant writer and nonprofit development consultant. She has personally raised more than $14 million for nonprofits in Texas, and she also specializes in working with individual artists. Our Grant Writing Instruction and Mentoring service offers an array of assistance tailored to your needs, whether you’re completely new to the complex world of grants, or experienced but looking to improve your skills in this area of persuasive writing. We offer seminars, courses, one-to-one training and consultation, and grant review. Grant services at WWD are designed for both individuals and nonprofits. In addition to grant writing skills and techniques, you can learn more about how grant application processes work, how funding decisions are made, and how to determine whether your idea/organization is a match with a particular funding source. You can also learn how to make your best and most convincing argument for funding, as well as some of the unwritten rules of grantsmanship. Whether you’re curious or ready to dive right in, check out our menu of services below and choose your own adventure. Our aim is to help you meet your grant writing goals. Office Hours ($39) – An hour of one-to-one grant writing consultation that you can use as you choose. If you’re new to nonprofits or grant writing, we can talk about grants to help you get a plan together and assess your training needs. If you’re a novice or experienced grant writer, we can give quick feedback on a particular grant proposal, or just offer a few tips to help you make a more convincing argument. If you’re a creative new to grants, we can help you get your footing in proposal writing, or suggest strategies. This hour is also for questions of any type you may have about grants and grant writing, from how to find the right funding sources to what you should ask a potential grant writer you might hire. Whatever your needs and timeline, office hours are available to use however your goals dictate. And since they’re available year-round, this is a good option when seminars and courses are not in session. Grant Writing Fundamentals (3 hours/$60) – This seminar will introduce you to the basics of grant writing, and the essential components of a good argument for funding. We’ll cover grant structure and content, rhetorical technique, and practical strategies for engaging the types of audiences you may encounter when attempting to raise money for yourself or your organization. This seminar is recommended both for new grant writers and those who would like to refresh their skills with an afternoon of discussion and situational writing practice. We’ll explore the craft and purpose of this form of persuasive writing, and also discuss how grant narratives read from the perspective of the gatekeepers, program officers, grant reviewers, board members, and others who have a stake in considering your funding request. You are welcome to bring in a proposal you’re working on or examples of grant guidelines if you’d like to use them as writing prompts, but no prior grant writing experience is required or expected. Telling Your Story: A Creative Workshop for Nonprofits (2.5 hours/$60) – It's not always enough to do good and assume the public understands your value. An organization also has to be ready to translate its work into ideas that engage, enlighten, and persuade those it seeks to reach. Good storytelling is fundamental to demonstrating a nonprofit's merits and needs, especially when speaking directly to those who can provide the kind of support that allows an organization to serve its community well. This seminar is designed for anyone working in the nonprofit world who is responsible for communicating the mission, ideas, or impact of programs/projects/services to an audience whose positive response is critical. Those who might benefit from this course include grant writers and development staff, program managers, board members, volunteers, and others seeking to tell bigger stores in fewer words, and to craft effective narratives demonstrating the essential value of their organization. Regardless of the audience, great nonprofit storytellers usually understand a few things about rhetorical strategy, dramatic structure, and the graceful art of (ethically) spinning facts, details, and circumstances to one's best advantage. So we'll discuss the complexities of language and persuasion, and ways that compelling prose can make all the difference. 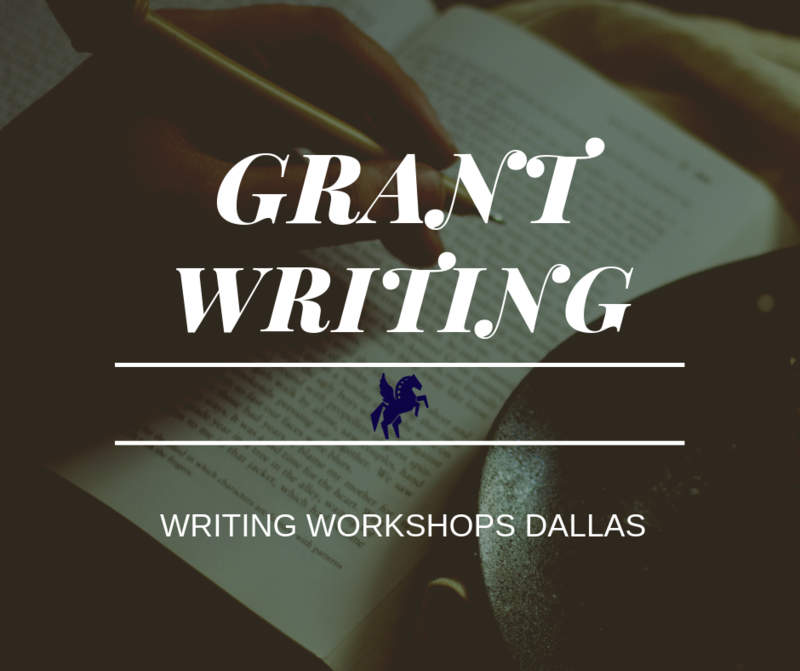 Grant Workshop (5-weeks/12.5 hours, $249) – This project-based course for both novice and experienced grant writers provides instruction and mentoring, and a grant writing cohort to work with as you complete specific proposals of your choosing over the first four weeks. The course meets for 2.5 hours each session, and follows the creative writing workshop model of discussion and feedback. Participants will complete assigned weekly readings, provide written critique and verbal feedback on grant narratives in progress, and use the course to work through grant writing challenges and issues as they arise. Week five will be devoted to final project presentations, during which each participant will present a completed grant project (or a portfolio of grant writing). Prerequisite: completion of one WWD grant seminar, or permission of instructor. Grant Boot Camp (3 hours/$129) – This intensive will take you through the experience of writing a basic grant narrative from start to finish. You will receive a set of grant guidelines at the beginning of the workshop for a proposal narrative to be completed by the end, working with other participants as part of a collaborative team. This course provides a supervised trial-by-fire grant writing experience that can benefit writers at any level who want to improve their ability to respond to timely grant opportunities, or just sharpen their skills. Participants will also learn strategies for communicating with potential funders, addressing difficult questions, and turning negatives into opportunities. Personal Training – Don’t have time to wait for the next seminar or boot camp? We offer a fully personalized version of the Grant Writing Fundamentals or Telling Your Story seminar for $129, delivered one-to-one, and based on your grant training needs. A personalized version of our Grant Boot Camp is also available for $249, and of course Office Hours are available year-round, at $39. We can bring Grant Writing Fundamentals, Telling Your Story, or the Grant Boot Camp to your nonprofit, office retreat, or any gathering—with content tailored to your mission and programs and the types of funders you are targeting for support. When you host a group training, we’ll even provide your organization with some WWD scholarship credit for the event. Grant Review (flat fee, priced by project) – Submit a grant proposal you’re working on for written feedback. Just provide us a proposal document, along with the grant guidelines and notes on anything you’d like to know. We can review individual grants before submission or work with you across multiple proposals, providing guidance as you continue developing grant narratives that capture the work you do. Sample review tiers are as follows. Pricing is based on the length and complexity of the project and the amount of feedback you desire. We review all types of proposals, including those to government agencies (federal, state, county, and city), corporate giving programs, private foundations, arts funding initiatives, even grants for individual writers and artists. Our feedback will highlight your proposal’s strengths and issues, including any red flags we see that could potentially disqualify it for funding or raise concerns. We can also look at whether the proposal meets the funder’s stated giving priorities, complies with all application instructions, and offers clear and compelling arguments concerning the need vs. funding requested. We can even review your budget, budget narrative, and other financial components of the grant if desired, to ensure that these elements of the proposal also support your argument for funding. Collaborative writing (hourly, priced by project) – Sometimes it’s easiest to learn by writing with a partner, so this service provides real-time support in person or online as you complete your project. Whether you need a second pair of eyes and hands to help get past a particular obstacle, or just ongoing feedback to make your argument for funding sing, we’re standing by. Purchase one hour at a time or a block to be used whenever/however you prefer.